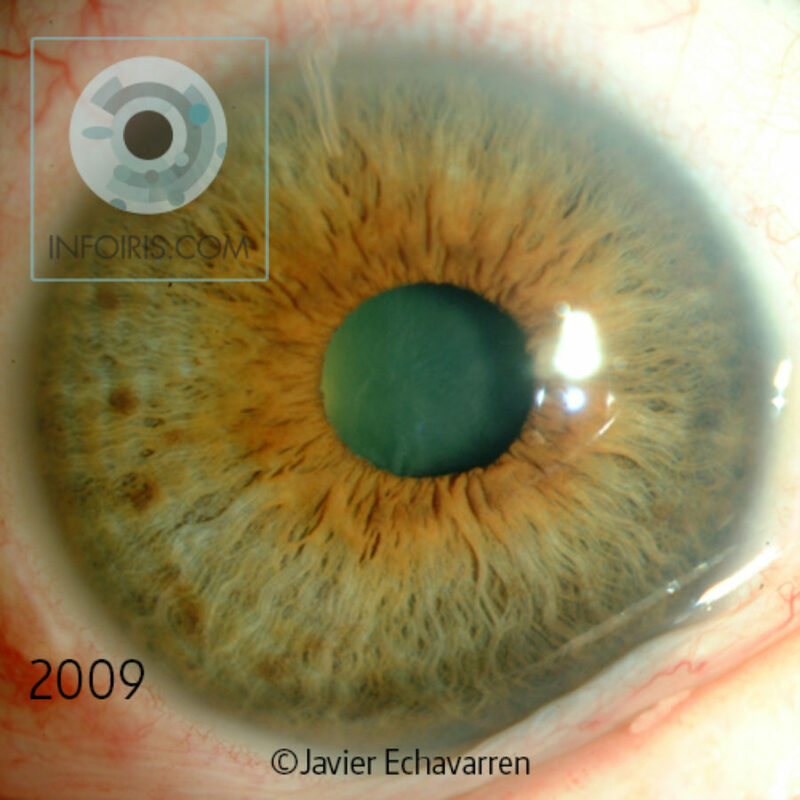 Modification of the colour of the iris as a result of medication. 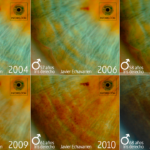 In this case study in question, we have photographs from 2004, but we can graphically document that it was from 2009 to 2015 when this spectacular colour change took place, a period that coincided with the application of a specific medication. 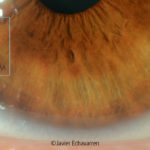 This fact complicates the interpretation and assessment of the iris, because – as we can see – with two photographs side by side, we see how some of the pigmentation that can be seen in detail in 2009 has blended into the darkening of the rest of the iris, which prevents an assessment of the extent if we lack earlier photographs. 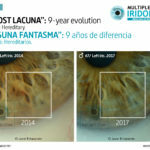 In addition, another change that has taken place in the iris independently of the medication and that shows us a worsening is the “cloudy vision” sign. 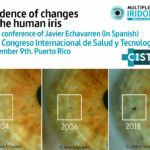 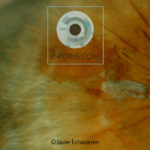 When it appears in the upper part of the iris, it does signal a worsening of the cerebral micro-circulation, causing symptoms such as instability, dizziness and memory loss. 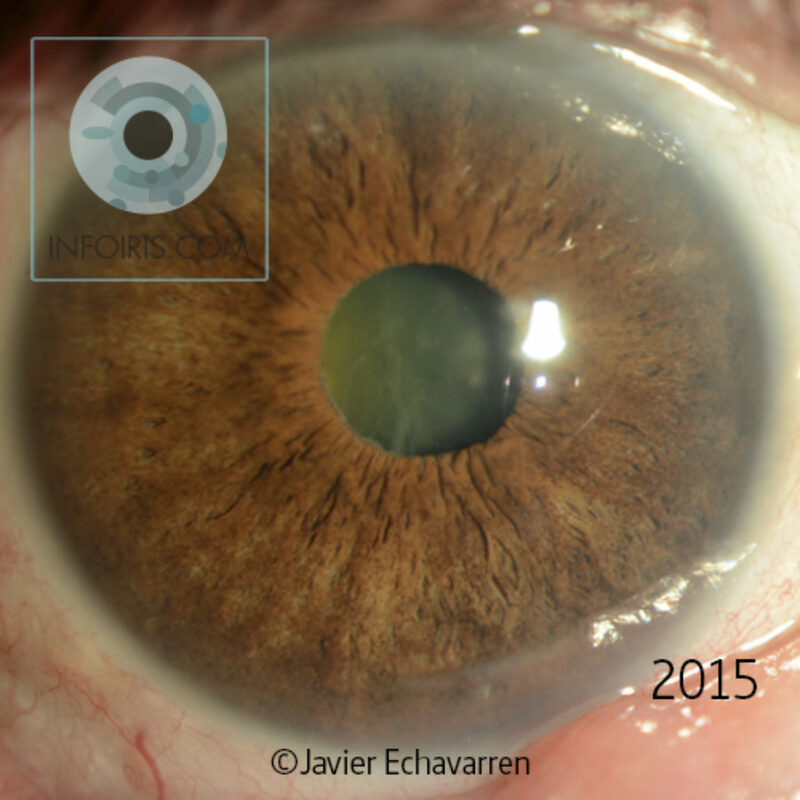 In the photo from 2015, it can be clearly seen how, in the angle between 50º and 310º on 2015, on rings No. 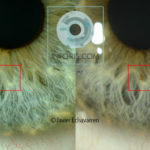 8 and 7 (the latter partially) the iris sign has developed. 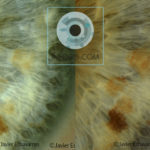 In the same surface of the iris from 2009, one begins to intuit the development of this iris sign, but the speed at which it has developed indicates that there is a significant worsening, or the medication has favoured it developing more. 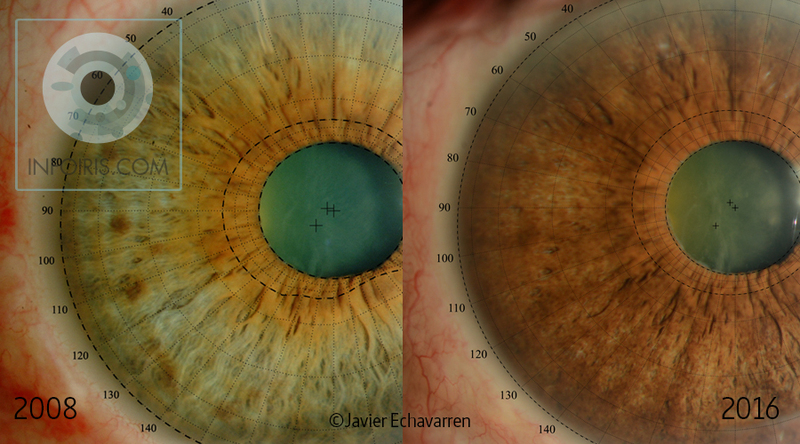 The left iris, as well as the rest of the interpretation of the case, is reserved for courses and study materials that we will be publishing. 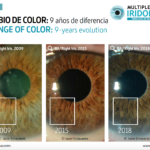 – Changes in the iris.